On 19th January 2013 Mission;Style was born! 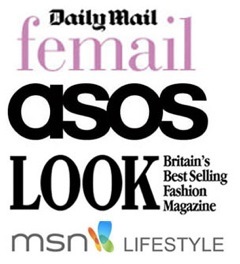 The first 12 months of Mission;Style has totally flown by!! It's been a huge learning curve for me (mainly 'cos I wasn't really technically minded for a start). In hindsight, I could have done some research into blogging before just setting off and having a bash at it anyway but still, it's all an adventure, right?! I've just hit 148,600 page views…This is A.MAZING, the number in my head for this point, based on the first 6 months, was 50,000!! I really do love posting, even if I'm not afforded to post as often as I'd like…There's this 'little thing' called 'work' that keeps me busy (and in Valentinos!!)... 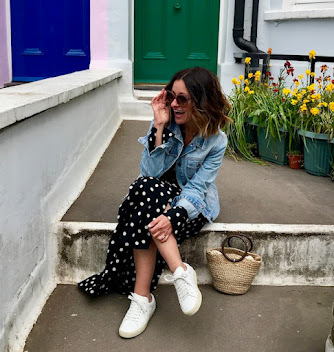 That said, all the fancy buttons at the bottom of this post (and the tabs above) give you other ways to follow my style antics, these only take a few seconds for me so, I do tend to post fairly regular on Pinterest/ Instagram/Facebook/Twitter/WIWT! If you haven't already, you can also click to follow on Bloglovin' too.. Please feel free to comment on my posts, I love to hear your thoughts! Shout outs on the various social media platforms are very much welcome, it's so amazing to hear from readers…These two Tweets came in this week, stuff like this makes my day!! 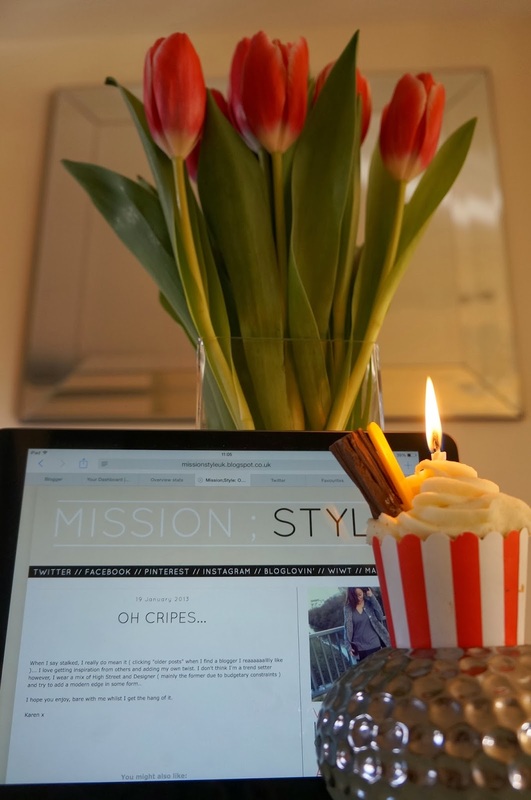 I hope you've enjoyed the first 12 months of Mission;Style…I can't wait for the next 12! Love your blog, can I ask where the cupcakes are from- need these cupcake wrappers for a party! Love your blog so much! Uber cute outfit posts (envious!!) and you seem like such a lovely, genuine person!